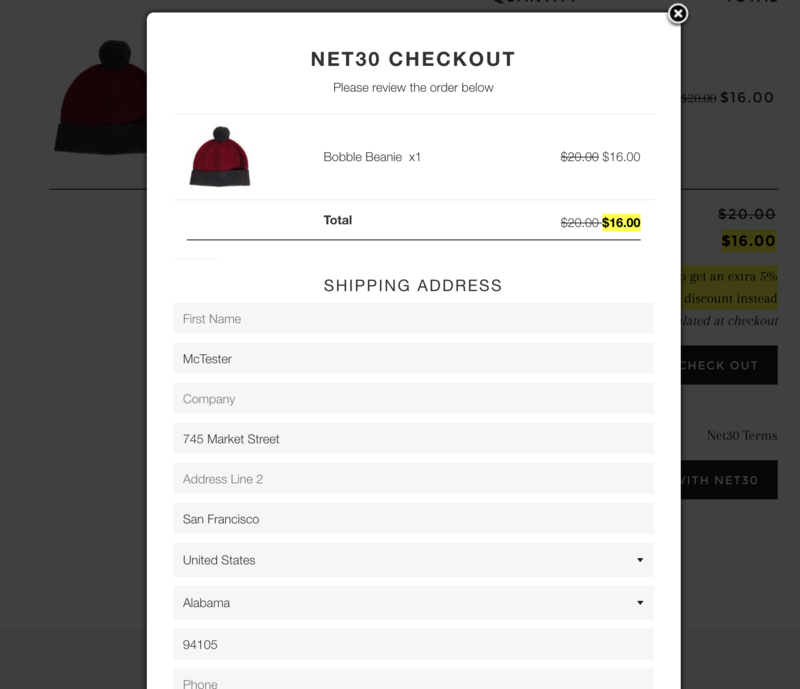 Customers tagged whnet will be able to see a Checkout with Net X Terms button on your cart page. A popup modal will appear on the cart page showing a summary of the wholesale order. This modal contains a button to place the order. 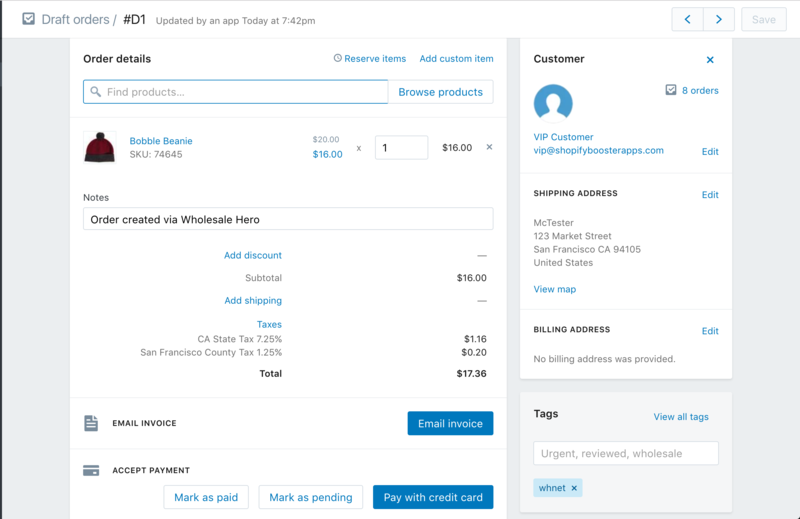 Once a customer places the order we create a draft order, with a tag of whnet in your Shopify admin. You can now edit the draft order as needed along with emailing an invoice or collecting credit card details from the customer. You do not need to offer net 15 or 30 terms - offer any payment terms you like - draft orders can be handled exactly as you need.